An open letter to the Royal Navy Advertising Team | Olive Oyl, Navy wife. I feel compelled to write to you to point out some worrying inaccuracies contained in the TV ads being broadcast at the moment. Before that, a little background, I am the wife of a Royal Naval Sailor who has served for 15 years and is still in service. We have been together for 7 years and have just had our first sprog. We have done several deployments and have (we feel) experienced a broad cross section of life with the Royal Navy as the silent “other woman”. Firstly, the job roles described have neglected to mention several essential daily tasks. I’m sure this was mere oversight, or the result of an over zealous editing team. Instead, or in addition to the admittedly mind catching, and exciting list of “you fly, you chase, you save, you help” etc, I would like to suggest an edit, or perhaps an addition to the above. “You clean, you clean, you fix, you clean, you iron, you stand for rounds, you clean, you fix” would be a much more accurate and honest depiction of the experiences my husband and many many other sailors have had during their service. This would create an even mix of testosterone inducing, gut squeezing, adrenaline pumping viewing, whilst still outlining the tedium and Groundhog Day environment that deployment creates. Secondly, the whole concept of “a life without limits” is misleading. The naval life we have experienced has enforced some significant limits on my husband. There are several, but the few that come jumping to the forefront of my mind, wielding placards, are, the time my sailor spends with his daughter at home (or lack of), the considerable amount of paperwork he has to do, and the courses he has to complete every year, regardless of how polished his skills in that area are. There are limits on the time my husband can spend on important social pursuits too (such as his wish to regularly attend nearby public houses). At the drop of a hat, or click of someone’s fingers, he must stay to cater a champagne breakfast, or evening buffet, which I can only assume is essential to the safety of our shores. With such functions obviously being crucial to the success of the war on terror, I naturally support them, but captains dinner parties are a significant limit on my husbands plans. 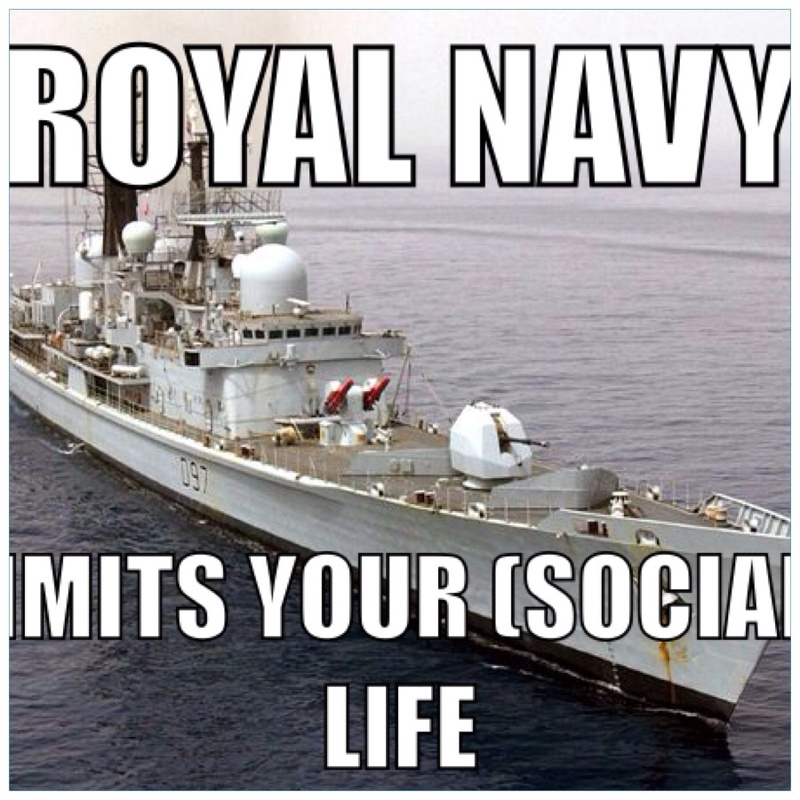 I am suggesting a more apt slogan (albeit less catchy) would be “The Royal Navy: Limits your (social) life”. Thirdly, according to your adverts everyone in the navy is some speed boat riding, school house building, giant gun toting action dude. I think you’ve missed a trick here, and left out some seriously exhilarating duties that will get people enrolling like they think it’s Hogwarts. I have yet to see an advert that hails the thrill of cooking a fry up for 250 people, or the buzz of piloting hoovers, or the downright giddiness caused by standing on a gangway watch. Please can we see some adverts highlighting these and similar in future. 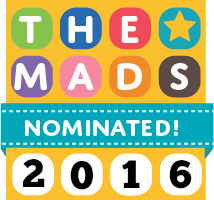 Finally, as a new mum I have been quite upset for the mums of some of the lads featured in your adverts (and im assuming lasses too, although I haven’t seen one with a woman as the central protagonist yet). The whole “I was born in wherever, but I was made in the Royal Navy” must really grate on these poor mums who have (presumably) devoted hours to school runs, swimming lessons, parents evenings and beans on toast dinners. I’m fairly sure if their uteruses could speak they would be more than a little put out as I’m fairly sure they have a significant role in “making” an adult human. I would like these mums to get some credit in the process of getting little johnny sea legs to a position that he was able to join up. Every time I see these newer ads my tummy turns in sympathy for these poor, disregarded and discounted mums (and Dad’s!). Maybe a “Mother’s Day special” ad is an idea to ensure future feelings of congeniality between the Royal Navy and the parents who brought these sailors forth into the world? I hope I’ve helped get those creative juices flowing. A more accurate depiction of “life in a blue one” might help new recruits feel less blue about their lives in it. Next > Ten better uses for your sailors long-cast.